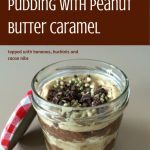 I was browsing around online and drooling over the Loving Earth website when I came across these chocolate chia puddings with peanut butter caramel. 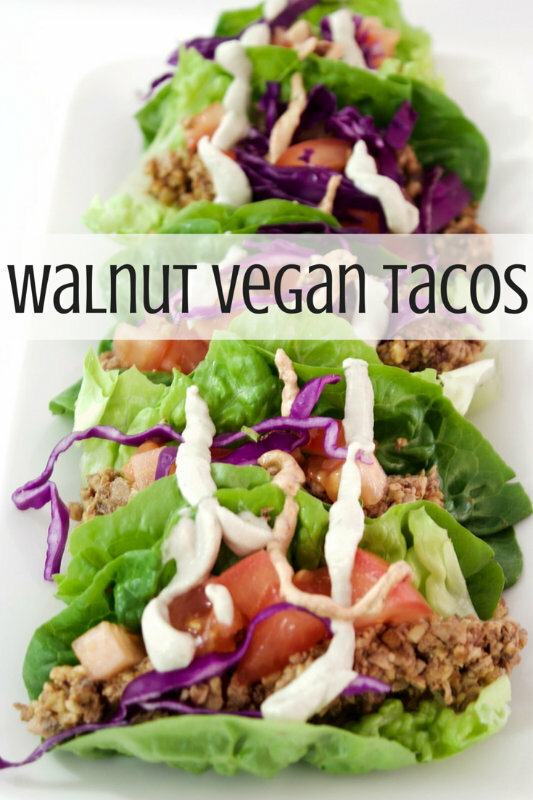 I managed to whip them up fairly quickly and have made them a few times since. And each time I just fall more and more in love with them. The ingredients are things I always have in the kitchen and they take almost no time to make. The big, big downside is they need time to set. You need to make them the night before you intend to eat them. Or early in the morning if you plan to have them for dessert. I must say for me it’s much easier to make them the night before and then I don’t have to look at them all day, teasing me, just waiting there, ready to be eaten. 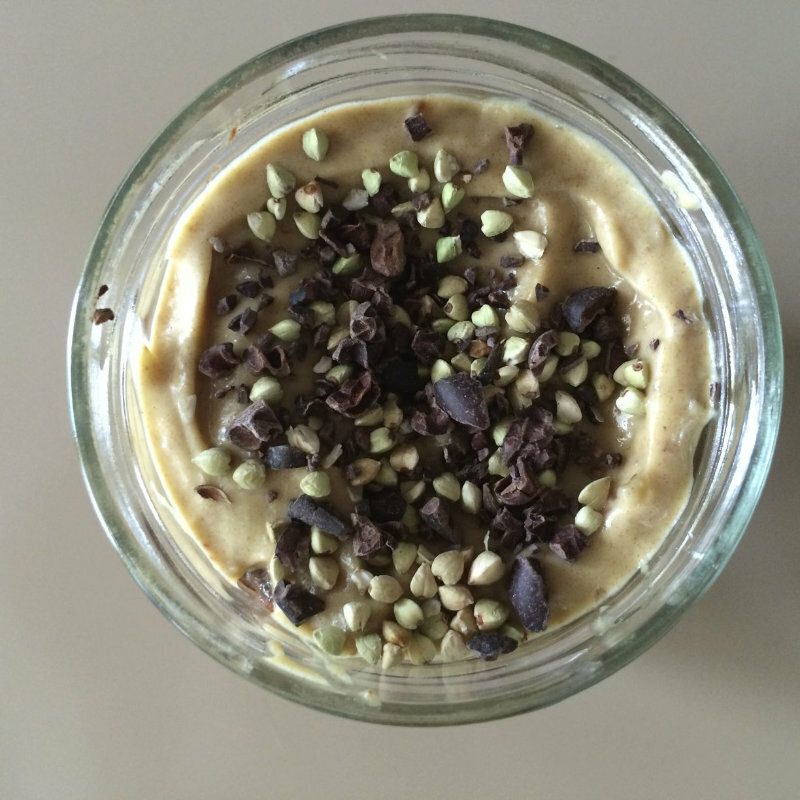 Some of my favourite ingredients are in this dessert – peanut butter, chocolate, chia seeds, buckinis. All the good stuff, all in one place. These puddings are quite filling. They look amazing served in glass jars, as long as they are not too big. I have also made these in small ramekins, but you don’t get the same visual effect, and as they say, you eat with your eyes first. This is a recipe that you need to be prepared to wait for. But it’s definitely worth the wait. They will keep for 4-5 days covered in the fridge, although the buckinis may soften after a few days, so it’s best to add these just before serving. In a bowl, mash the banana with a fork until smooth. Add the chia seeds, almond milk, cacao and agave. Whisk with a fork until combined. Leave in the bowl and place in the fridge for a few hours, or overnight. Chia seeds will expand and set to make a pudding. Add the dates to a food processor and process until it becomes a smooth paste. Add peanut butter, almond milk and maca powder and process until smooth and well combined. This will take a few minutes. Leave in the fridge overnight to chill and thicken. In the morning, mix the chia pudding to smooth out any lumps. Add a layer of the chia pudding into the bottom of 2 glass jars. 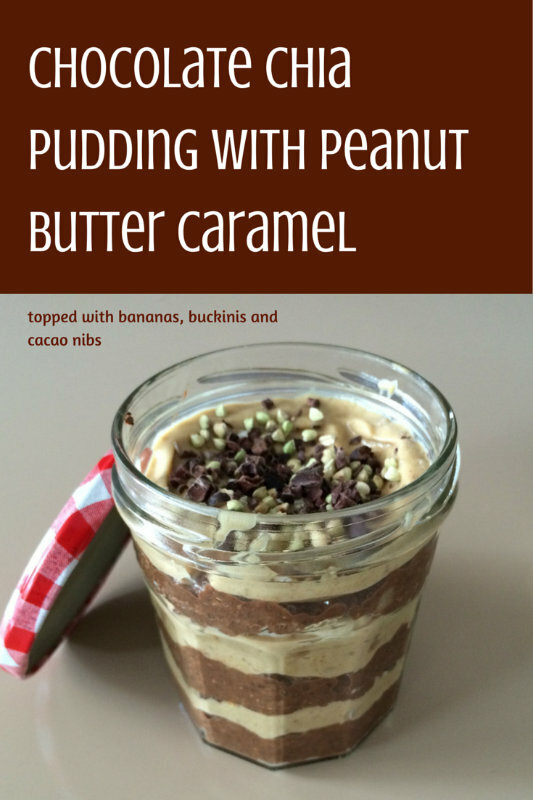 Top with the peanut butter caramel sauce. Layer sliced banana on top. Repeat all the layers finishing with a layer of bananas. Top with buckinis and cacao nibs. The maca powder is optional. It adds some extra vitamins and flavour but can either be left out or replaced with another superfood powder.